Visit Northrise, meet our students and faculty, and see how God is transforming Zambia through Northrise. 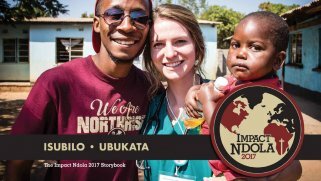 Impact Ndola is a bi-annual mission/service trip where participants serve Zambia alongside students and staff from Northrise. Visitors gain a deep understanding of the ministry of Northrise, both to its students and to its surrounding community of Ndola. Vision trips are informative in nature and meant to introduce our friends to Northrise for the first time. Trips can be taken by individuals or by groups. Additional visits to Livingstone and South Luangwa are a great opportunity to see this beautiful country and experience its true wonder. 2016 was a very special year as we celebrated the dedication of the new Campus Center and moving to the main campus. We are looking forward to more milestone celebrations in the future!